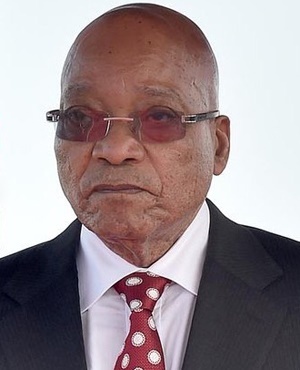 Cape Town – President Jacob Zuma admitted in a Parliamentary response that his special adviser Silas Zimu only declared his non-executive directorship of Cape Gate Parepha after the company won a R149m contract from Eskom. Democratic Alliance spokesperson on public enterprises Natasha Mazzone asked Zuma whether his special adviser declared his business interests before the company was awarded a contract to supply Eskom with wiring. “The non-executive directorship was not declared before the specified company was awarded a R149m-contract to supply Eskom with wiring,” Zuma responded. “The delegated executive authority is in engagement with the special adviser with regards to the declarations of interest,” Zuma said. The Sunday Times in May reported that the company, of which Zimu was a non-executive director, won the contract seven months after his appointment as Zuma’s adviser. Zimu has been a non-executive director at Cape Gate Parepha since 2006. Zimu told the Sunday Times at the time that he had resigned from Cape Gate Marepha in November 2016, but hadn’t submitted his resignation letter yet, due to his busy schedule. The DA’s Mazzone also asked Zuma if his adviser declared any other business interests, to which the president replied in the affirmative. Zimu also has business interests with companies Business Venture, Vaal River City and Titantrade.